This "Kiss of Death" Living Dead Doll is expected to ship in January 2015. Looks like he won't hit Amazon until April 2015 though. Kiss of Death is also available as a pre-order on eBay. 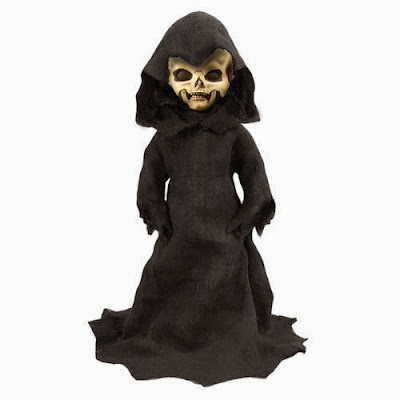 This Grim Reaper doll comes in a kissing-booth styled window box. Clever!